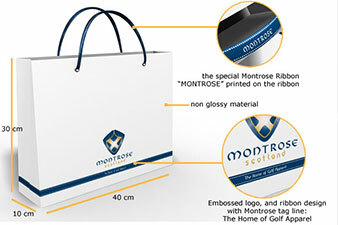 Montrose is a start-up company preparing to compete with successful golf ware brands. Founded by a Scot with a family heritage of involvement in golf, the company aims to establish itself in Asia and Europe. Help the CEO define the product positioning, brand offering, and brand story of Montrose for a launch. 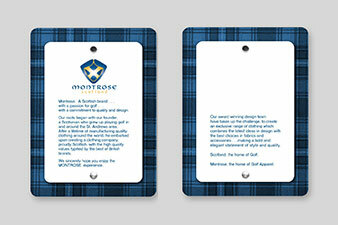 Developed a crest and retail colours based on the client’s family heritage in Scotland. Four specialist designers (identity designer, fashion designer who was a finalist at the Mercedes fashion design show, an award winning product package designer, and a 3D designer) developed a new Montrose logo, corporate identity, a range of retail wear and colours, and sales counter designs.